Designer’s dream home built with Modern Aluminum Garage Doors. 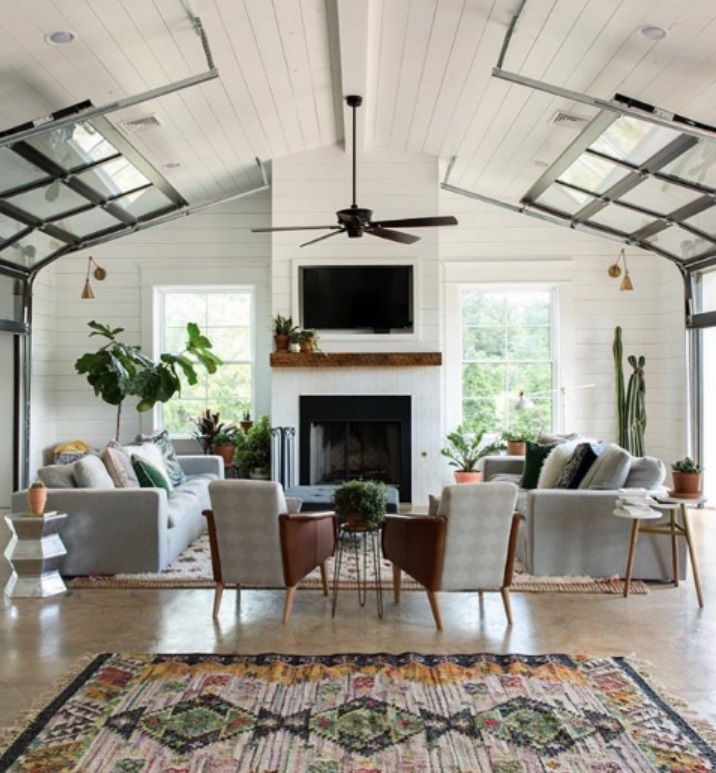 When designer and photographer Kelly Moore set out to create her dream home near West Monroe, Louisiana, she drew inspiration from three things – barns, old dogtrot houses and light. 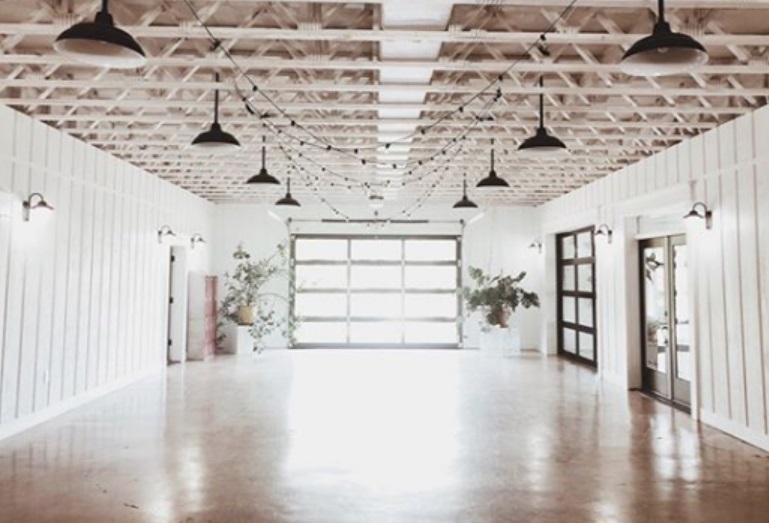 She ended up with a stunning “Barndominium,” a popular new style of home that melds modern and rustic design to create a large barn-like structure that’s centered around a long, open breezeway connecting the indoors to the rural outdoors and filling its spacious rooms with natural light. 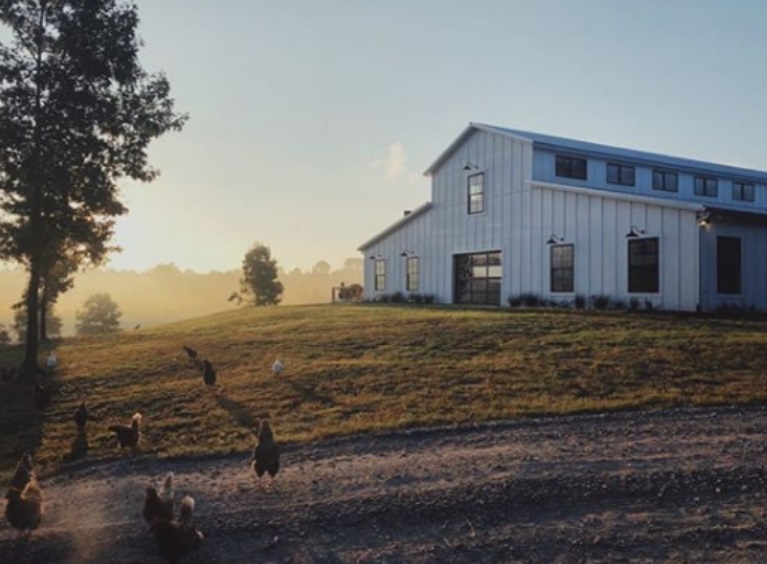 Kelly’s barn, featuring Overhead Door™ model 521, has enough room for her busy family of five, a guest suite and a shop for her husband, all on 15 acres land in the northern Louisiana countryside. The breezeway down the middle is flanked with garage doors on either end to divide the area to a living wing and the shop/office wing. 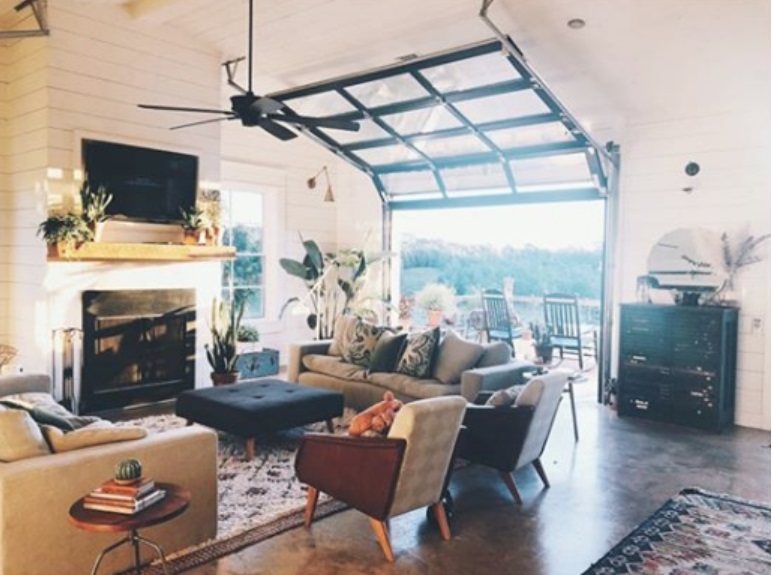 A third garage door can be opened to allow free flow between the breezeway and the living room. The aluminum garage doors, including a fourth door between the living room and home’s wrap-around patio, allow Kelly’s kids to ride bikes and roller skate from the center of the home to the outdoors, as well as expanding the light-filled space. The family also hosts events, live music recordings and workshops in the open space. “I wanted the ability to open up our living area to the outdoors and our wonderful views of the Louisiana countryside. This was the best solution and the best bang for our buck,” she added.